Did you ever wonder whether L. Frank Baum knew what he was starting when he wrote The Wonderful Wizard of Oz, in 1900? Besides the 13 additional Oz books he penned, the story has spawned nearly 150 movies, books, plays and musicals — including current Broadway megahit Wicked. That's a lot of homes there's no place like. 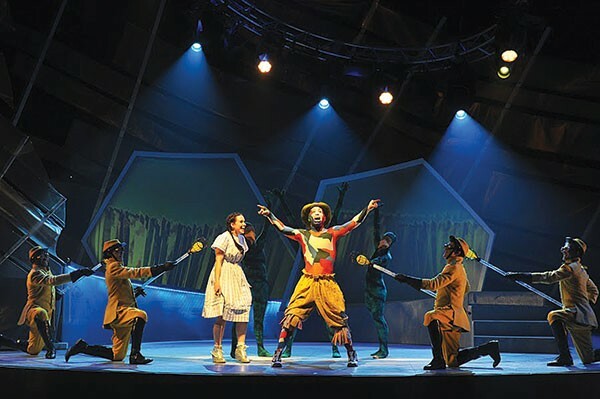 One spinoff is The Wiz, an "all black" musical adaptation that opened on Broadway in 1974, with music and lyrics by Charlie Smalls and a book by William F. Brown. 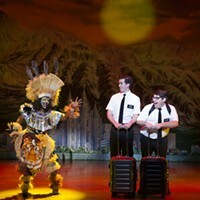 Though the show's undergone a couple of re-thinks, and an all-black cast is no longer essential, it's still firmly rooted in African-American cultural idiom. 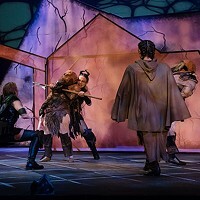 Carnegie Mellon Drama presents a production directed and choreographed by Tomé Cousin, with musical direction by Thomas W. Douglas. Brown's script relies heavily on our pre-knowledge of the story and isn't re-examining it (a la Wicked). Instead he's created a sort of vaudeville: It's a series of big vocal numbers and dance sequences, occasionally interrupted by short comedy scenes. With that in mind, Cousin has cast knock-out performers who fling these numbers into the rafters. Dorothy is double-cast and, on the night I saw it, Annie Yokom sang with a powerfully rich and expressive voice. Philippe Arroyo, Harron Atkins and Jean G. Floradin get individual chances to shine as Scarecrow, the Tin Man and the Lion, and land their numbers like consummate professionals. Veladya Chapman and Joell Weil, as bad and good witch respectively, are terrific singers and play their comedy scenes with tremendous humor. And Erron Crawford, as The Wiz, is huge fun when he's "preachifying" to his subjects. I will say that Cousin and his design team have come up with an intensely curious look where nothing feels connected. The '70s game-show set exists in a different visual world than the dance-club lighting, which fights against the earthy palette of the African-themed costumes, which in turn are completely dissimilar from the spiky, black-and-white projections. It's almost as if the designers are daring the performers to create magic. But these kids have more than risen to the challenge.